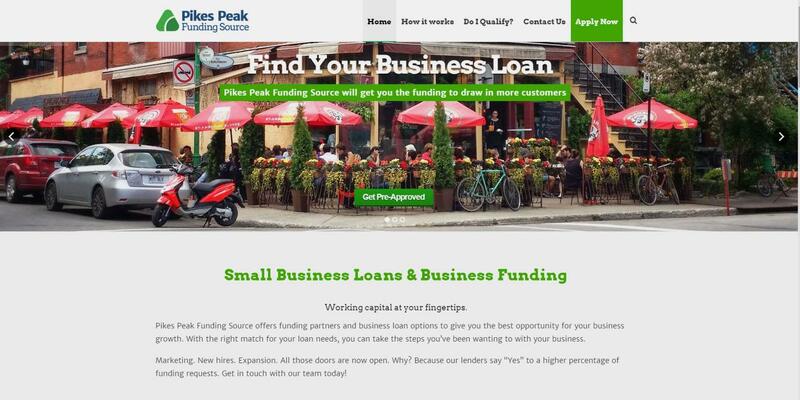 Pikes Peak Funding Source is a Colorado Springs based business that connects with lenders and brokers around the country to provide business capital for small to mid-sized businesses. For their venture, they didn’t have anything, so they needed it all. We started with their logo which is clean and modern design, and then built their website around that concept also. In the future, we’re also looking to help them establish a social media presence, as part of their next steps of growth. 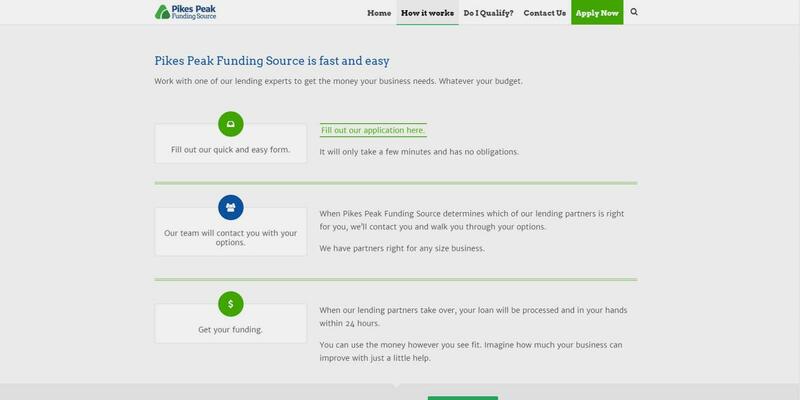 It’s great to have an organization like Pikes Peak Funding here in Colorado Springs, and it’s is the type of business you want to work with. PPFS works to ensure a smooth and successful lending process. 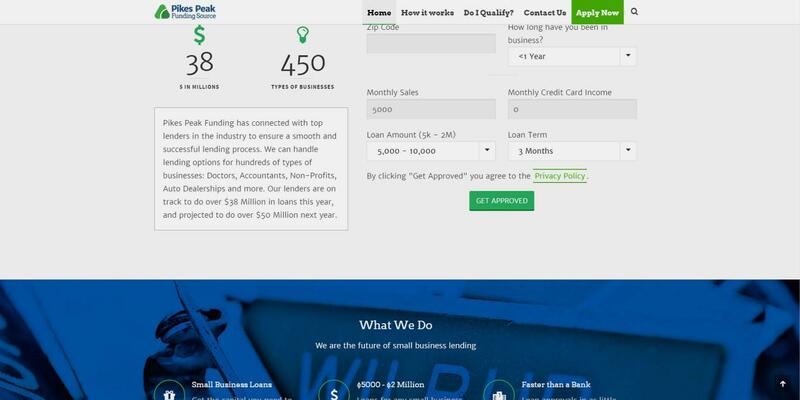 They handle lending options for hundreds of types of businesses including Doctors, Accountants, Non-Profits, Auto Dealerships and more. 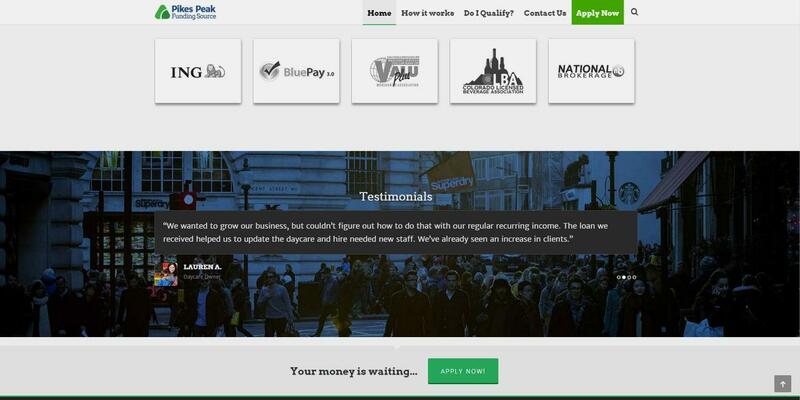 Their lenders did over $38 Million in loans last year, and are projected to do over $50 Million next year. 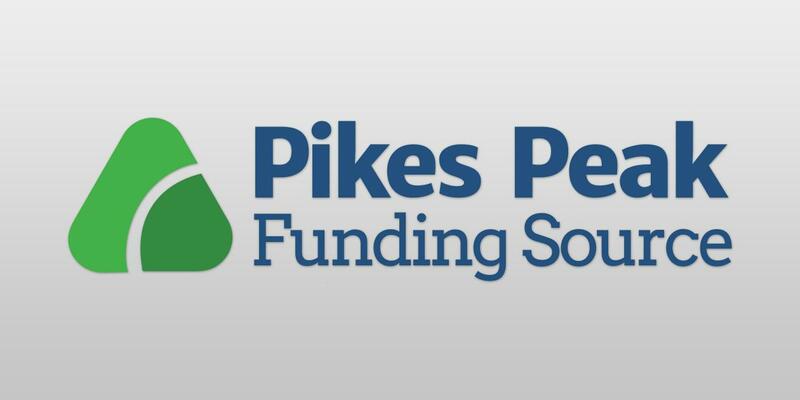 This ensures continued funding for small business startups, and a stronger economy here in the Pikes Peak region. ** Note that this site is no longer live.